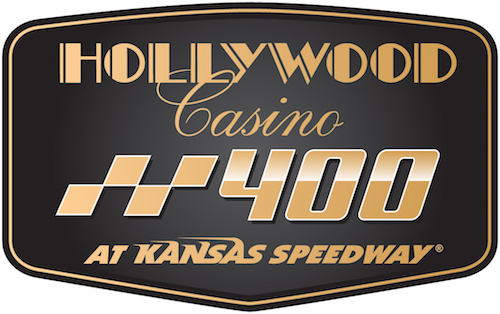 The second round of the 2018 Monster Energy NASCAR Cup Series playoffs will conclude with Sunday’s checkered flag on the Hollywood Casino 400 at Kansas Speedway, so the playoff field will be cut from 12 to eight drivers. 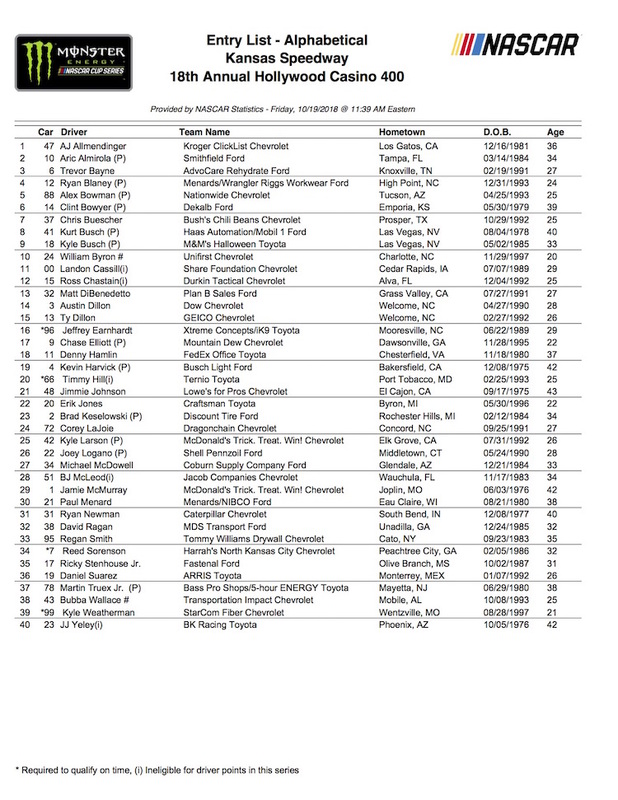 Forty drivers are on the entry list for Sunday’s race, so all entered will get spots on the race starting grid. Qualifying to set their specific order is scheduled for 7:10 p.m. ET Friday. The race is scheduled to get underway at approximately 2:20 p.m. Sunday. Kevin Harvick and Martin Truex Jr. have combined to win the last four races at Kansas. Truex is the defending winner of the Hollywood Casino 400, while Harvick won there earlier this year.